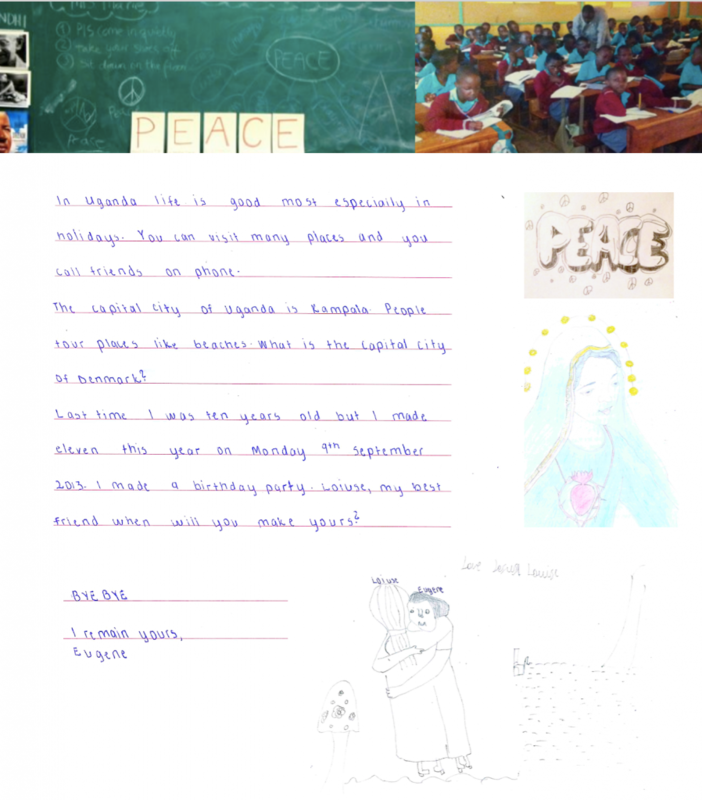 We Make Peace offers a Peace Letter exchange program for students between age 8-13 years. This is an exciting chance for students to befriend a student from another country through letter exchanges. It is our aim to promote friendships across borders, enhance literacy and acceptance and appreciation of diversity, to activate empathy and increase awareness of peace as a strong ideal for young people to aspire to. Over the last seven years, the program has allowed students from different countries to write letters to each other. Each student shares life experiences, art and learns from another student through three letters, all in the name of promoting friendship and non-violent communication. The Peace Letter program provides the participating students with a platform where they can express themselves freely while also learning about the life of a student from a different culture. And it is also meaningful for the teachers who are helping facilitate the exchange and connecting with a teacher from another country. The program consists of three letters that the students will write with their letter friend. The students will use printed letter templates to write the letters, in which they will be discussing and sharing their thoughts on topics relating to Positivity, Empathy, Acceptance, Compassion, and Equality. They will also be able to make drawings for each other. As a teacher, you will follow the Program Instructions. Each of the three letter writing sessions will have specific lessons that tackle the topics the students will be writing about. The topics are sometimes abstract and for young minds, it is valuable to be able to discuss with you and other students. The program is meant for students between the ages of 8 to 10 and 11 to 13 years. To get started, click on the button below and create a teacher profile. From there you can sign your class up to participate. Please make sure you initiate the exchange. If there is a class already registered that matches with yours, both you and the other teacher will need to confirm the participation within 7 days. If there is not currently a class registered that matches your class, you will be notified via email once there is an exchange match. Please be on the lookout for an email. Once a match is made, you must confirm the participation within 7 days. Once an exchange match has been made, and both classes have confirmed their participation, you are ready to begin the Peace Letter Exchange Program. As a teacher you can manage multiple classes through the same portal profile. The program is FREE to use. However, the cost of printing and postage must be covered by the participating class. If you would like to be notified when this opportunity becomes available, please sign up in the form below. Eugene’s words are a wonderful reminder to us all of the importance of building bridges between different cultures. Their exchange is a remarkable example of how children can teach each other and the rest of us to be empathetic beings and how to embrace cultural and racial diversity. 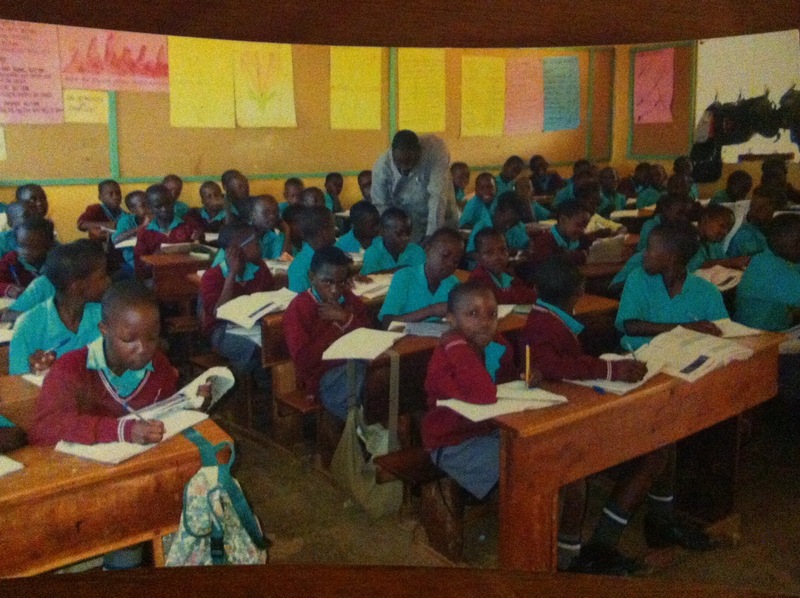 Our goal is to have 50,000+ students writing letters yearly. 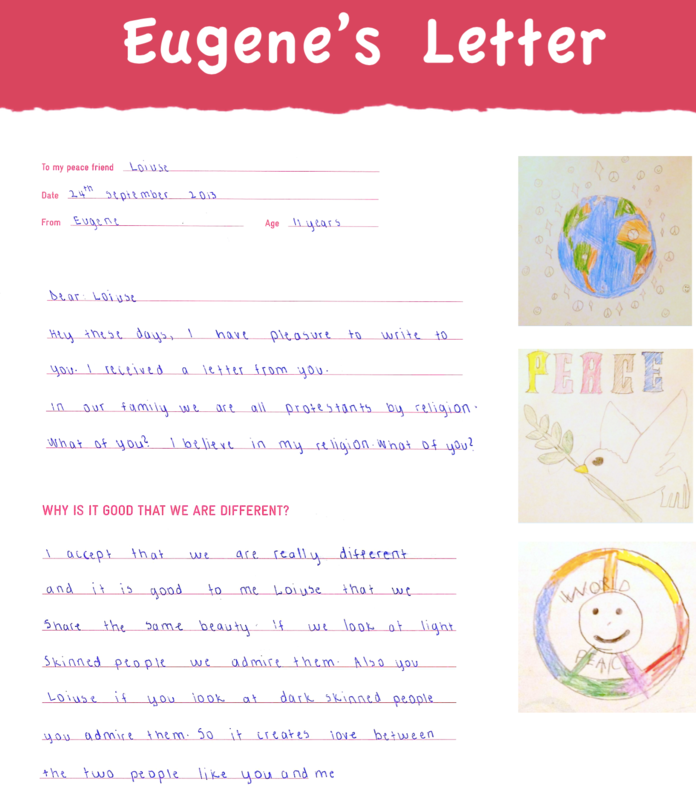 We believe that peace education and conflict resolution topics should be embedded in every national curriculum, and through the Peace Letter program we invite teachers and schools to take part in creating the change. The program is applicable in all school systems, regardless of the schools’ individual financial situation and access to technology. Foster understanding for other cultures trough positive exchanges and friendships that go beyond country borders and language barriers. Enhance literacy and communication skills, including second language communication and the art of handwriting. Widen students’ understanding of diversity and activate empathy and compassion in their relation to people from different cultures and backgrounds. Beat the challenges that the school system faces on a daily basis by offering new, innovative ways for teachers and students to learn and engage in a non-stressful way. Empower students with personal life skills, designed to combat bullying, violence and crime while building strong foundations for peace within each individual, in the classroom, and in society. Need a Sponsor to participate? If you are interested in the Peace Letter Program Sponsorship Opportunities, sign up here. We will contact you when more information is available.